Electric car maker Coda Automotive staged a “Grass Station” in Culver City for educational outreach. 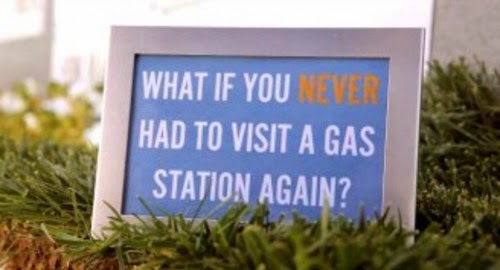 What if you arrived at your normal gas station for a fillup and it was completely different? Coda Automotive published a YouTube video a couple days ago showing just such a situation. 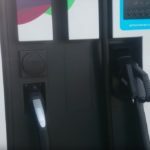 The company has always married social activism with the business of designing, manufacturing and selling electric cars, and this video shows such a marketing outreach event. Coda’s marketing department made arrangements with the owners of a gasoline station in Culver City to take over the gas station for a day. They converted the station into an oasis, covering the pavement with grass, bringing in plants, a badminton court, a petting zoo, a music DJ, and of course educational material. The event was an attempt to interrupt the normal flow of daily activity, interjecting other ideas. Gas station customers were still able to buy gasoline, but in a different environment, and with the opportunity to learn about electric cars. What if you never had to buy gasoline again? The normal flow of daily activity for most includes occasional stops at a gasoline station. 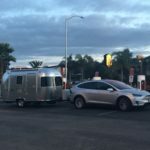 Electric car owners do not have to subject themselves to this ritual, and stopping at a gasoline station may become a dim memory. 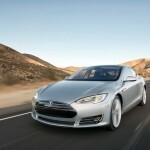 Is the business of making and selling electric cars the same as selling gasoline cars? In many ways the incumbent car markers treat the sale of an electric car as they do other cars. Coda recognizes the need for education as the first step in selling an electric car. The company’s sales model starts with the “Coda Experience Center” at the Century City Mall in Los Angeles, which is a kind of educational center. Potential buyers are referred to a dealership for the actual purchase and service arrangements. What is the aggregate cost of the existence of gasoline stations? Coda points to EPA figures saying all the currently operating gasoline stations occupy 5 billion square feet of land, much of which is prime real estate. 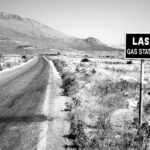 Additionally there are tens of thousands of abandoned gasoline stations, most of which are “brownfield” sites that may be leaking hazardous chemicals into the ground. 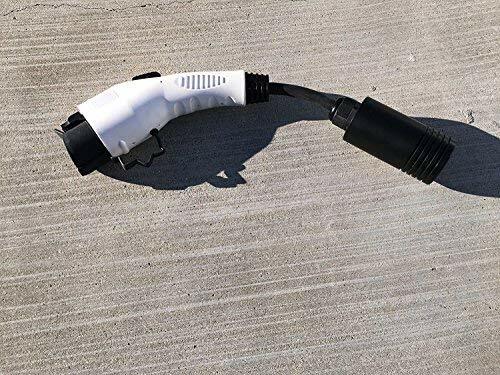 Suppose the project of mainstreaming electric car ownership is successful, what will we collectively do with all that land that is currently occupied by gasoline stations? The Coda electric car is an all electric car, with an 88 mile driving range, and a fast 6.6 kilowatt on-board charger. 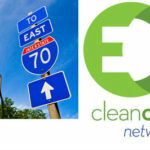 In April, Coda announced a second electric car would become available in mid-2014 at a much more affordable price point.